Uniquely Yours Craft Journal | Listening to my heart, one journal step at a time. The following blog post is pretty awesome. Check it out! My versatile index card mini binder is very handy. It’s small and compact, and I can change the cards around, or add or remove cards whenever I need to. Because it has covers, the index cards are protected. 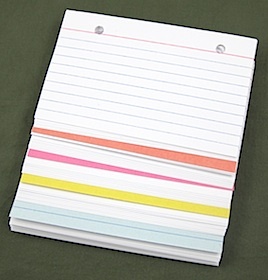 I like using index cards because they are sturdier than paper, are very inexpensive, and come already cut to size. 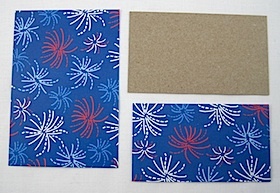 You can even buy colored index cards, which I used to make dividers. If you use the unlined index cards, you can make a nice little drawing book or notebook for your kids to use when traveling. I was able to find the index cards in Dollar Tree, and I only needed 2 packages. I could have used just one package, but I wanted colored cards for dividers. 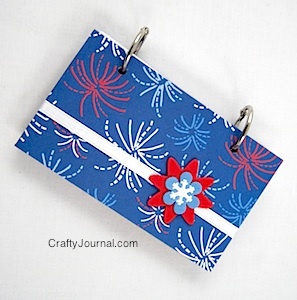 How to Make an Index Card Mini Binder. 1. Cut the cardboard a little larger than the index cards. I used 5 3/8 inches by 3 1/8 inches. 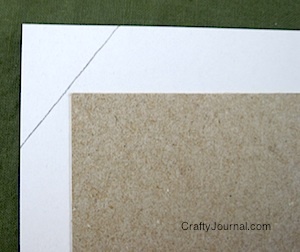 You don’t need to make the binder ring edge wider because the edge of the covers and cards need to be flush there. 2. 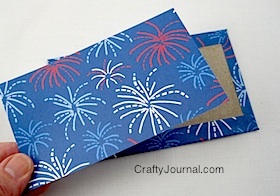 Make the decorative paper for the outside of the covers about 1 inch larger than the covers. I used 6 1/2 inches by 4 inches. Cut 2. 3. Cut 2 inside cover papers a little smaller than the covers. I used 5 1/8 inches by 1 7/8 inches. 4. 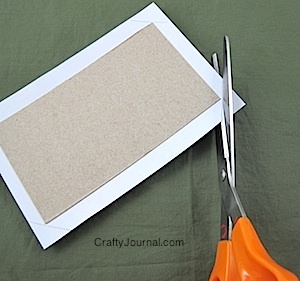 Apply glue or Mod Podge to one side of a cover card board. Center the cardboard over the wrong side of an outside paper. Press firmly all over to adhere. Repeat with the other cover. 5. Draw a triangle across each of the 4 corners on both covers – as shown. 6. Cut the corners off. 7. 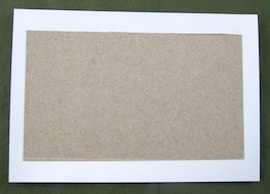 Score, fold, and crease all 4 paper edges next to the cardboard. 8. Apply glue or Mod Podge to all 4 edges and smooth them over the cardboard. 9. 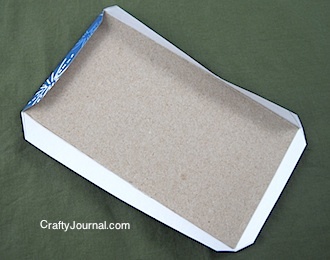 Apply Mod Podge to the wrong side of the inside paper and center it over the uncovered side of the cardboard. Smooth it onto the inside cover. Repeat with the second cover. 10. Put the covers between 2 sheets of wax paper and lay something heavy on top to flatten them. After a half hour or so, remove the covers and let them finish air drying. Prepare the Cards for the Index Card Mini Binder. 1. 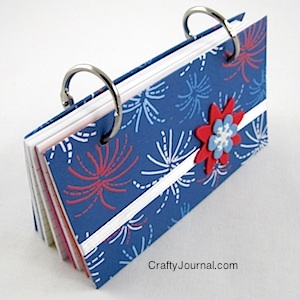 Decide how many cards you want to use and how many dividers you need, (if any). 2. Decide where you want to put the holes. I put the holes about 1 1/8 inch from each side edge. 3. 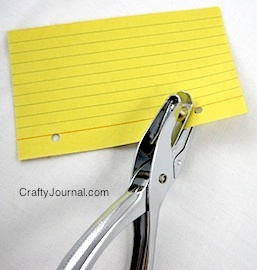 Use 1 of the index cards for a template and punch the holes. Lay this template on the other cards to mark where to punch them. 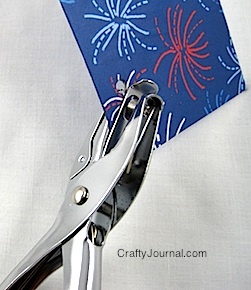 Use clothespins to hold 3 or 4 cards together and punch them all at once. 1. 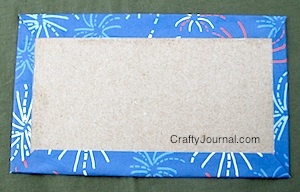 Line the index card template up with the edge of the cover that needs the holes. Center it so that there is an equal amount of cover on each side of the index card. 2. Mark the holes. Punch the holes. 3. 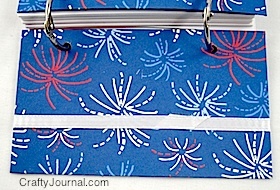 Attach a co-ordinating ribbon around the top cover, using double sided tape on the ends. 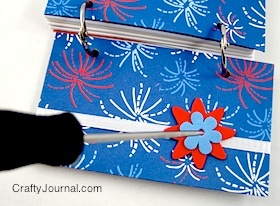 I used 2 different colors and sizes of foam flowers and attached them with a snowflake brad – which kind of matched the fireworks in the paper design. To attach, poke a hole through all the layers of flowers and the cover, and insert the brad. Put the Index Card Mini Binder Together. Arrange the index cards with the colored ones interspersed among the white cards wherever you need to divide them. or open the pages and stand it up. I didn’t put tabs on the dividers because I wanted to be able to stand the index card mini binder up, and the tabs would get bent. You could put tabs on the sides, but the colored cards are easy to see and access, so I didn’t bother. You can find binder rings in different sizes in Walmart or an office supply store. You could put 3 binder rings across if you want to. 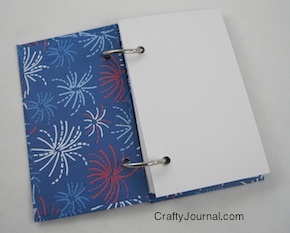 You could make a larger index card binder by using the 5×7 index cards and 3 binder rings.